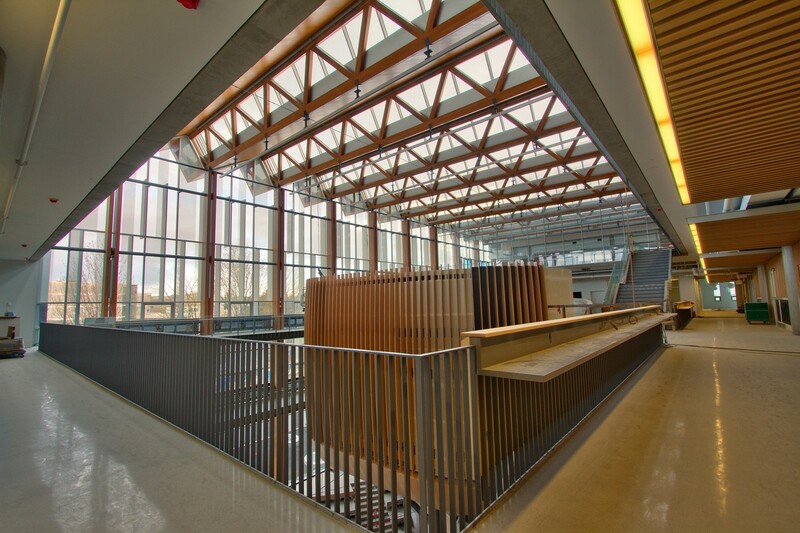 The Canadian Institute of Steel Construction 2015 BC Steel Design Award (Engineering Division) was presented to Wesbridge Steelworks for their precision craftsmanship the New SUB – Student Union Building at UBC – University of British Columbia. 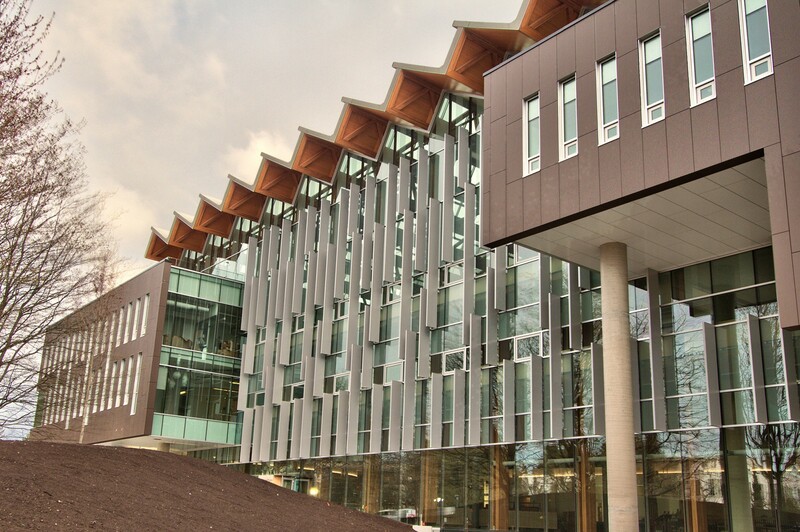 The New Student Union Building (SUB) is located at the "Core of Campus" on UBC – University of British Columbia, one of Canada’s elite Universities. The New SUB is a vibrant destination point and an interactive agora or "Nest" for students from around the world to build community. 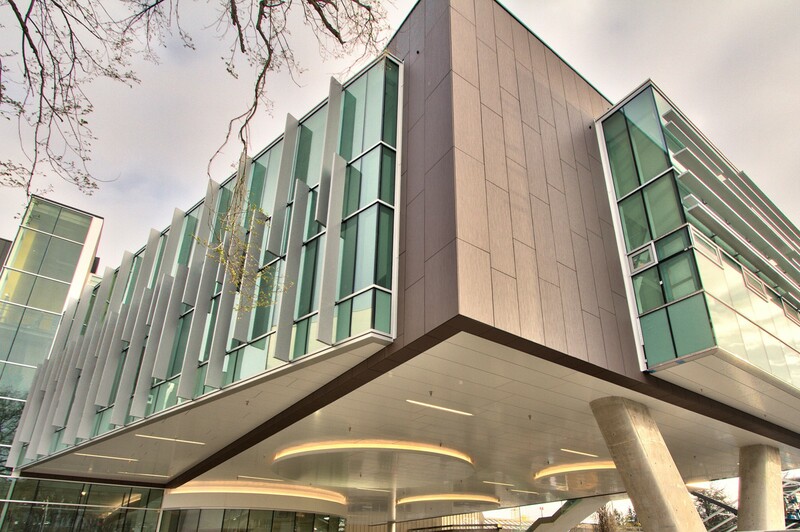 To achieve the architectural expression and to synergize form with function, steel was the natural choice as one of the primary materials for construction. 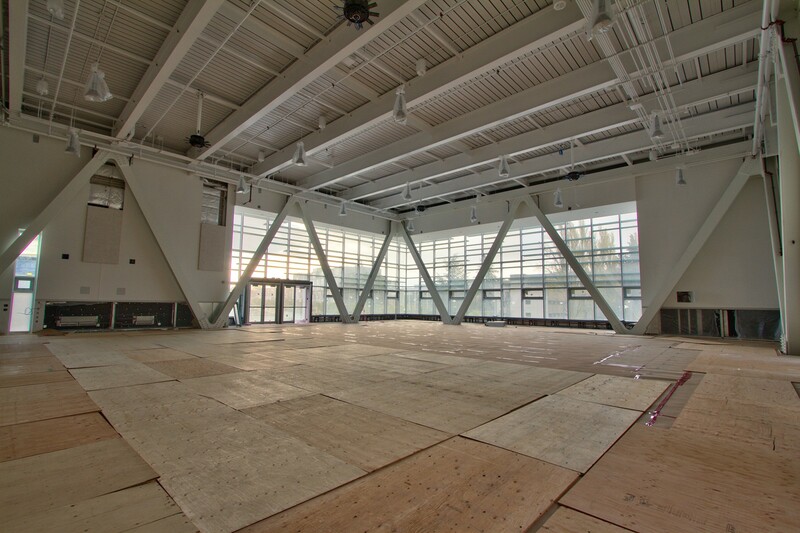 The New SUB is a five storey, precision structure including a massive mechanical penthouse which showcases spectacular views of the campus and soaring steel trusses. 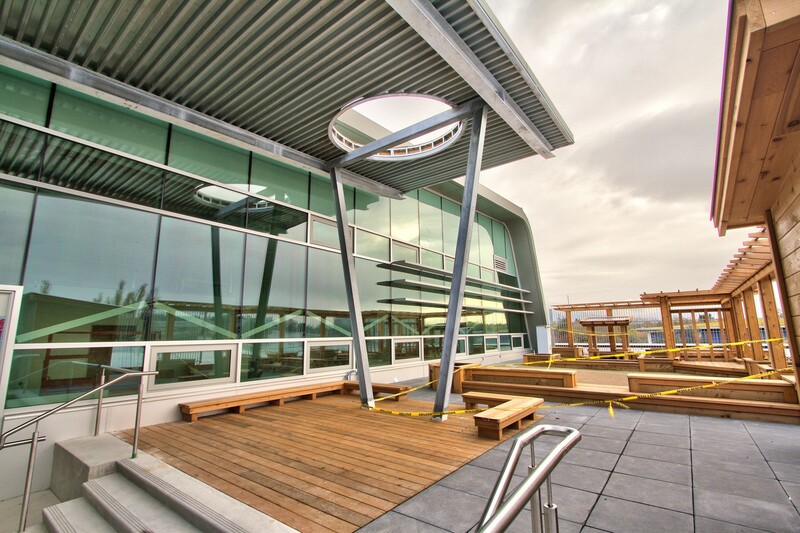 During the creation of this community-based building, the New SUB aimed for LEED platinum standard, energy smart, and sustainability. The world-class design commenced with an IDP – Integrated Design Process, which was a collaboration of students, stakeholders, architects and structural engineers. A hybrid of sustainable building materials was carefully selected to respect the legacy of the old SUB and to celebrate the conscience of future generations in the New SUB "Nest". To capture the collective visions of teams, only steel possessed the balance of strength, precision and flexibility to reach beyond boundaries and to reinforce the UBC brand as "A Place of Mind". 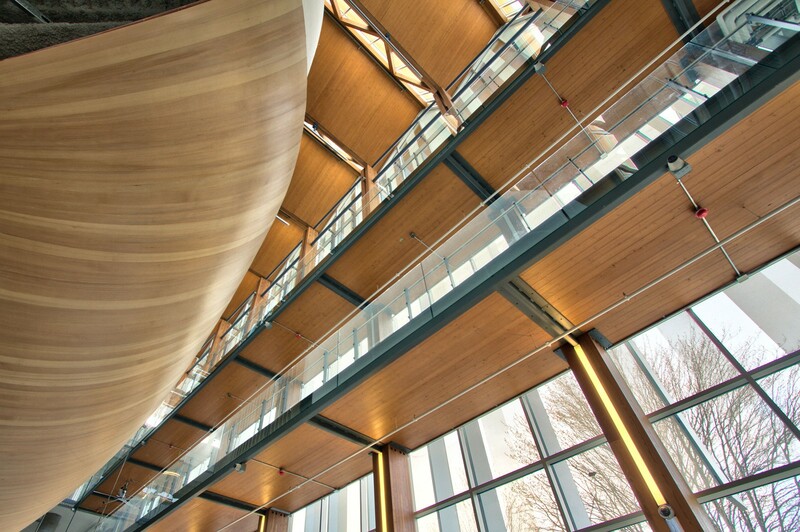 To ensure that the technology-forward 250,000+ square foot building remained the focal point and pulse of the campus community, several unique architectural elements were incorporated. 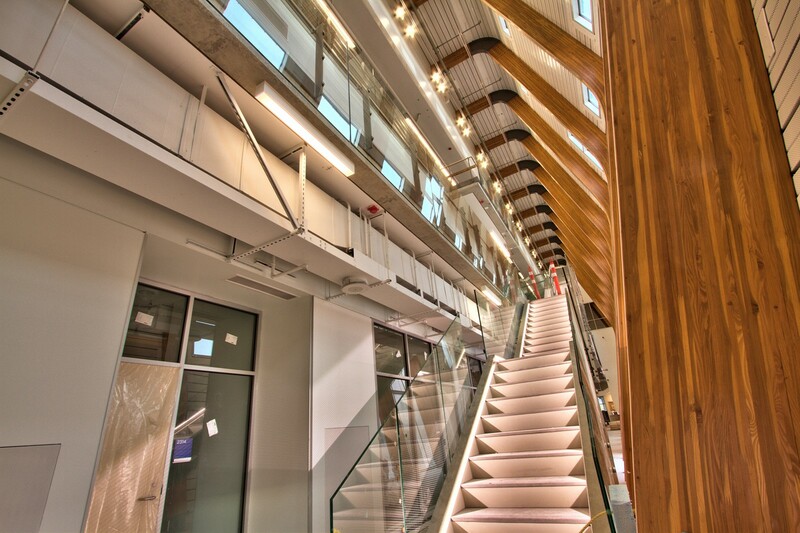 The steel highlights of the multi-purpose student agora environment include the Great Hall, the actual Nest, and three stories of "floating" Stairs with two Stairwells. At completion, the new 45,000-strong student population home was a total investment of $103 million and will open its doors in early 2015. 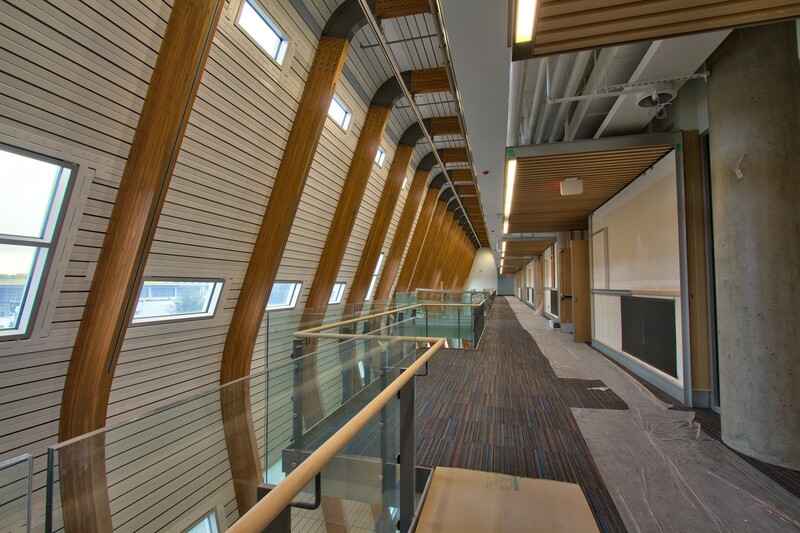 The Great Hall is an active and striking environment shaped by three commanding steel truss structures: two large sections located on the east and west of the building, with a small truss at the south face. Many challenges presented themselves to the teams. Due to the enormous total weight of the final assembled trusses, the east and west trusses at 80 tons each and the south truss at 30 tons. Multiple cranes were required to lift the truss components up onto 30-foot temporary shores, starting with the bottom chord members, where the workers would splice the trusses together in situ. 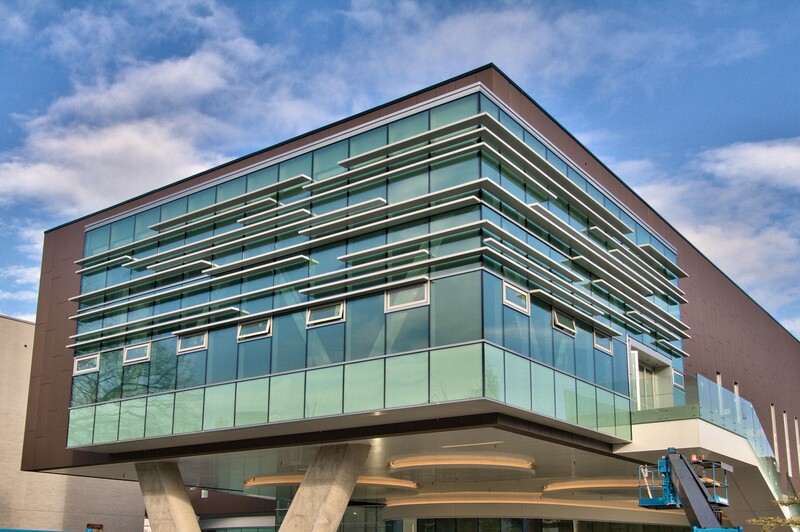 Once elevated, the exacting tolerance for a precision-above-ground-fit showcased the skill of the steel fabrication, and the craftsmanship and safety standards of the teams during this demanding construction assembly. The Great Hall also possessed limited field access and positioning of heavy machinery. The placement of tower and hammerhead cranes presented ongoing challenges throughout the construction of the Great Hall. During the erection of the Great Hall, it was necessary for the mobile cranes and the hammerhead cranes to be positioned in such a way as to enable the hammerhead cranes to continue servicing other on-site work. During some phases of the installation, three cranes were utilized to create a coordinated lift. 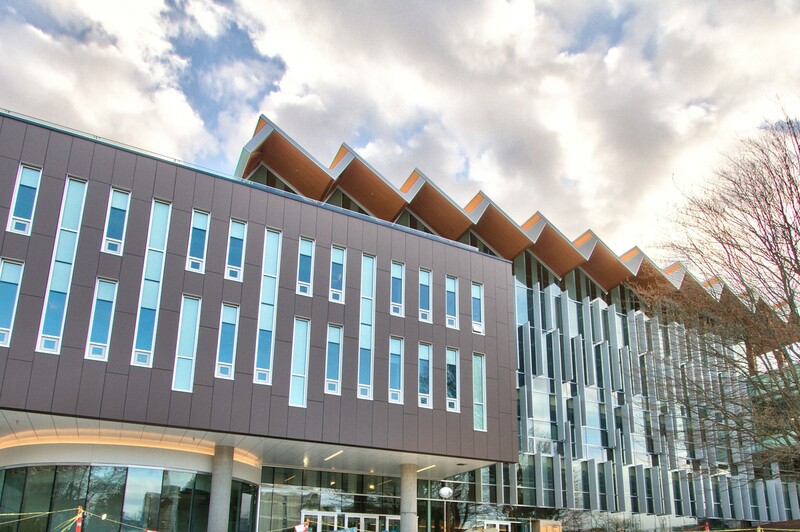 The structural design concept of an actual "Nest-Like" steel structure was created within the student union building. 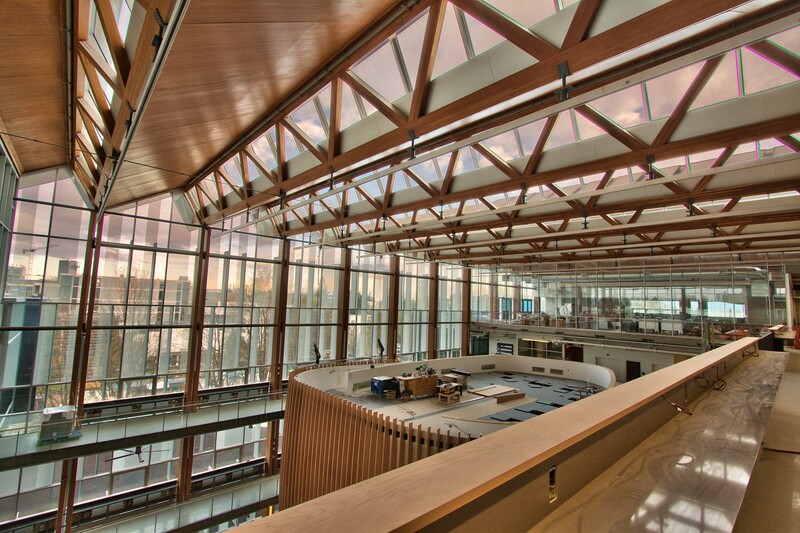 The virtual "building within a building" houses a theatre and student lounge with numerous places for students to relax, rejuvenate and re-engage with their peers. 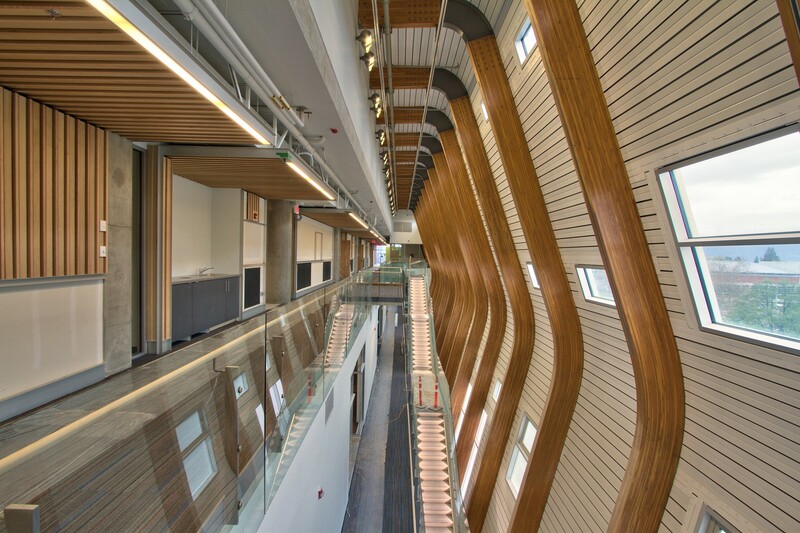 Upon entering the New SUB, students are drawn to a floating "Nest-Like pod" hovering dozens of feet in the air and balanced on three main, slender steel support columns and beams with the floor structure composed of a labyrinth of steel. The New SUB building was erected in a specific sequence starting with the Nest lounge structure, with all remaining structural components being built around it. The Nest’s core floor structural framing is comprised of a labyrinth of moment connected, cantilevered, heavy steel beams and curved and tapered edge members to facilitate the nest shape of the underbelly of the structure. Gracing the agora entrance are three stories of steel and glass stairways, which have the illusion of floating skyward. To maintain tolerance and fit, yet utilizing no visual supports, the floating stairway construction required concurrent integration of large embedded steel HSS struts with ongoing concrete work to achieve the suspended effect. 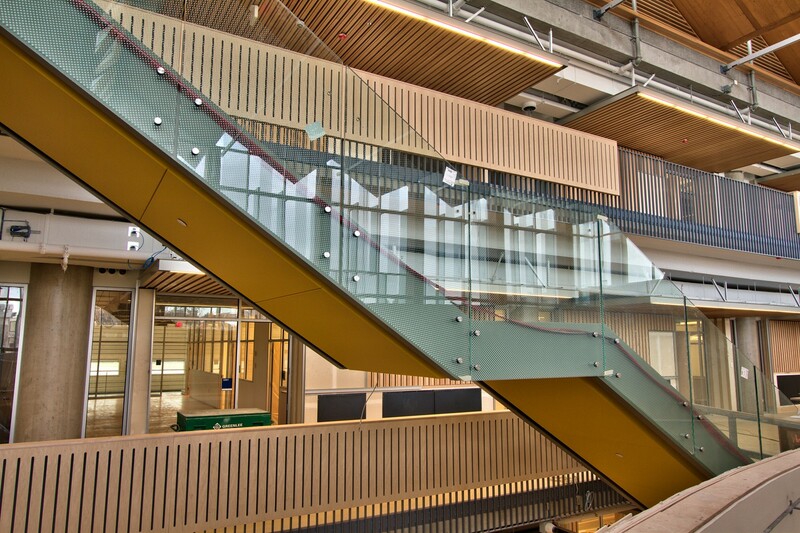 The New SUB features two of these interior stairways, and one on the exterior transporting the students upward to the second, third and fourth floors in a magical and seemingly effortless manner. The New SUB design, fabrication and field installation posed many unique challenges in addition to the obstacles mentioned. For all teams involved, these challenges included coordination of concrete, glass, wood and steel, and concurrent design modifications. Due to stringent safe work procedures during the above ground truss splicing on temporary shores, limitations were implemented regarding the size and the scope of machinery, and the safety of trades people, students and all stakeholders. With zero tolerance for error, the teams collaborated the 3D modeling, designing, fabricating and erecting in synchronization to achieve a viable, cost-effective solution. To ensure the IDP was respected and achieved, continuous assessments were conducted in tandem amongst welding inspectors, consultant inspectors, and the Wesbridge internal review inspector. The $103 million student union building reaching five stories above grade and one below, with a total floor area of 256,855 square feet, met the finalize budget outlined by the MOU - Memorandum of Understanding. 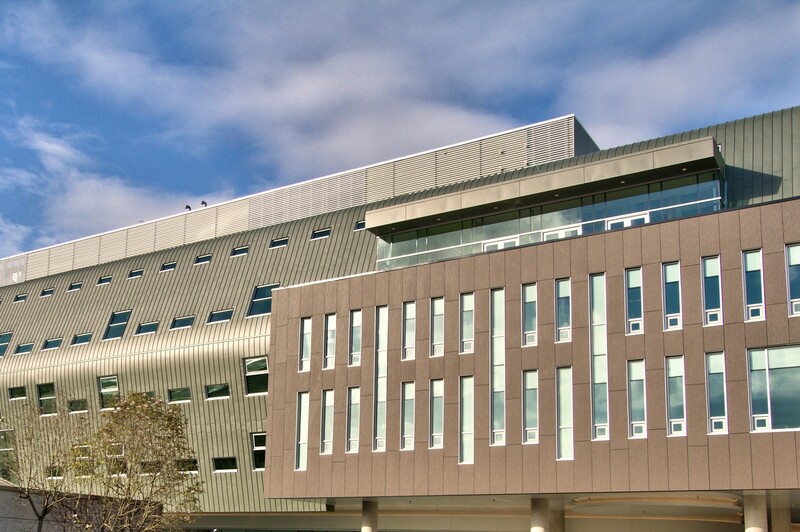 The commencement for the new student union building was June 2012 with formwork and construction beginning several months later. Wesbridge met the steel construction schedule timeline in accordance with the completion date and opening of the New SUB set for the Spring of 2015. 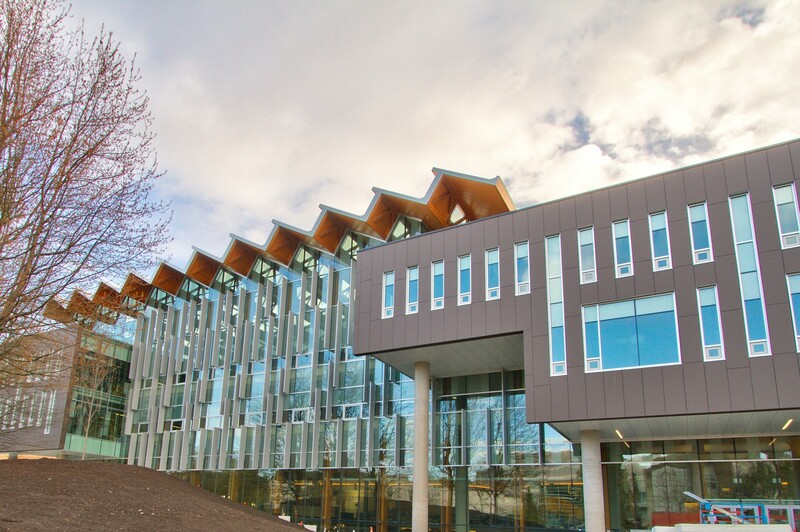 The lively and engaging new home for students incorporated a pre-existing grassy knoll into the entrance by reflecting the outside knoll with tiered risers on the inside of the towering glass façade. This knoll had been a gathering place for students and as part of the criteria noted in the architectural design competition, it was imperative that the grassy knoll was retained, and the trees and surrounding landscape were used as inspiration when designing and constructing the New SUB’s awe-inspiring 360 degree views. The floating Nest-Like lounge, hovering staircases with pathways to blue skies and gathering spaces which mirror the outside environment’s knoll to the inside of the New SUB have all contributed to the architectural innovations. 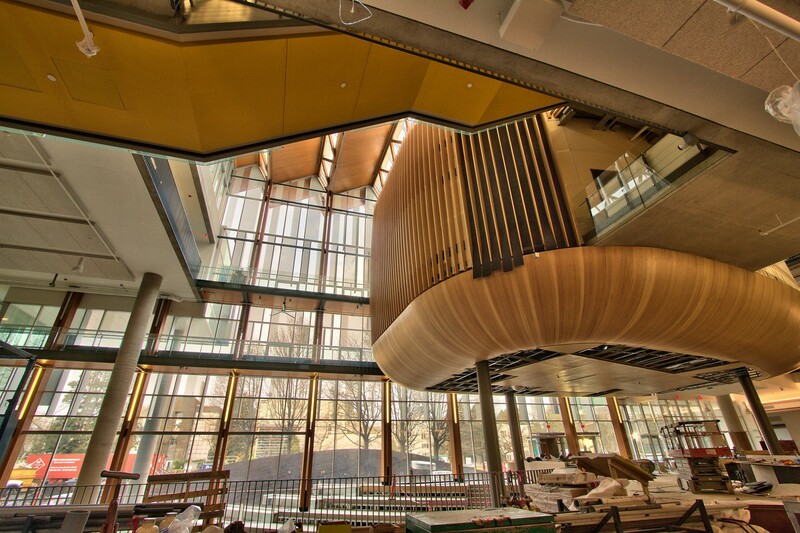 With glulam truss roof design and CLT panels, echoing the mountain range of the North Shore peaks, and the bold vertical design of windows offering spectacular views bringing the outside in, the 2015 UBC New SUB building has become the recognized industry benchmark for a student agora. Innovative to this building was the construction of a 30 ft. deep truss in excess of 80 tons each in total weight, assembling the truss in situ which created enormous challenges in placement, sequencing, alignment and fit of structure, and which demonstrated the superb craftsmanship in steel modeling, fabrication, erection and installation. The New SUB has unique, long, straight and curved runs of steel guard railings, totaling several hundred metres in length, with over 50 tonnes of steel that require a high quality finish, tolerance and craftsmanship to properly enhance the space. The rails serve both form and function. The Nest lounge is a cantilevered structure balanced on three slender posts. The cantilever construction allows for the overhanging Nest to be assembled without external bracing from a central triangle, thus giving the Nest the appearance of a suspended pod. Seismic restraint is provided by HSS tubing extending well through the bridges into the floor slab. The complexity of the engineering was in realizing the vision of all teams, and utilizing the strength, flexibility and weight of steel as one of the primary building materials. 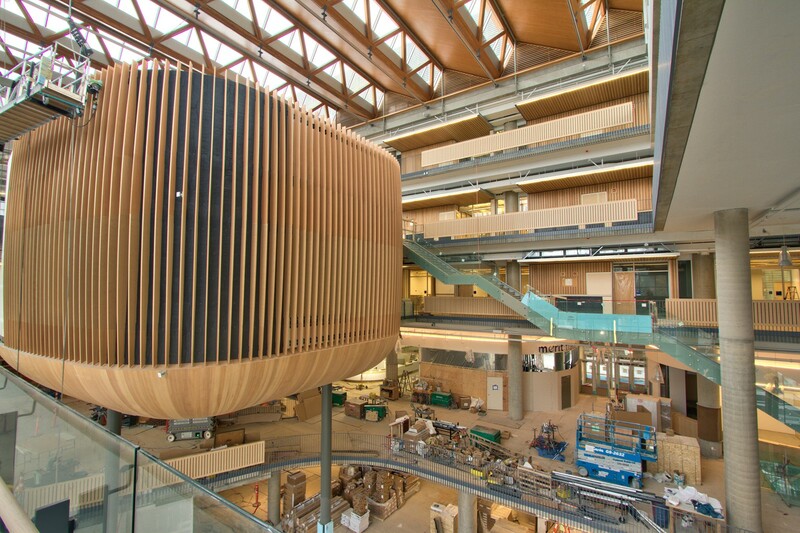 The New SUB was targeting LEED platinum certification with numerous environmentally sustainable initiatives including and not limited to: FSC sourced wood, Portland limestone cement (which reduced CO2 emissions), minimizing the energy (through daily light harvesting) and incorporating recycled materials consumed in the building and operations. 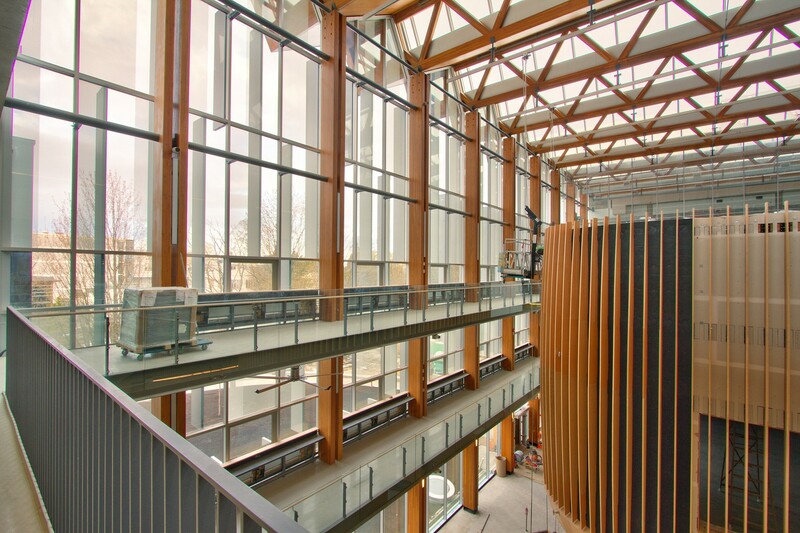 During the creation of the community-based building, the New SUB aimed for LEED platinum standard, adhering to an energy smart policy and the highest levels of sustainable building design, and to become one of the highest rated LEED green buildings in North America. 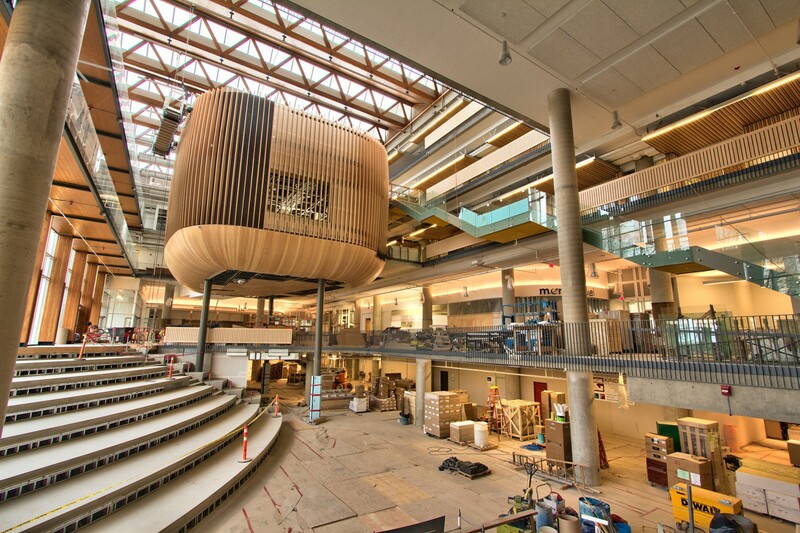 The New SUB utilized 85% - 90% recycled steel, laminated glued wooded beams, and will produce organic vegetables on the 10,750 square foot roof garden, partially supplying the in-house food venues. The intended sustainable plan includes water reuse, renewable energy, recycled materials, solar lighting and more. From daylight harvesting systems to real time energy monitoring for students, to long-term roof moisture and leak detection strategies, the New SUB contains the key drivers for innovative design, technologies and standards. The features have directly minimized the impact on the environment, the people and the community at large. Founded in 1930, the CISC operates as a technical, marketing and government relations organization representing the Canadian Steel Industry. The mission of CISC is to promote the use and benefits of steel in construction, add value to the construction and design community and support the needs of the membership and industry through education and training, research and development, industry codes and standards, certification and advocacy.